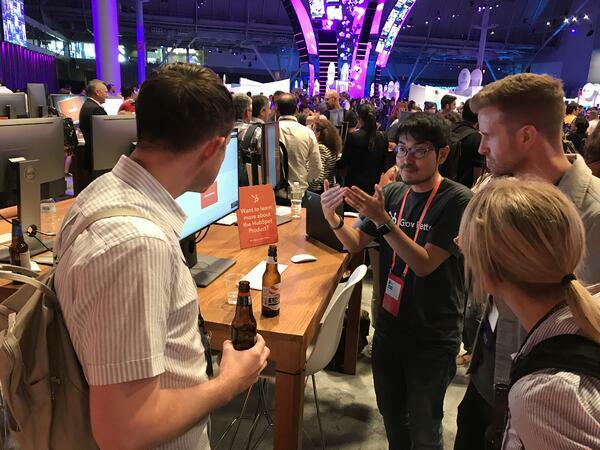 HubSpot pulled no punches at INBOUND this year as perhaps one of the most exciting and highly-anticipated features was finally announced - HubSpot Video. For years, HubSpot had talked about just how important video is to elevate marketing efforts, especially since people now gravitate towards personal and authentic videos. Here are the new features that have been announced and how utilising this feature effectively can bring plenty of growth to businesses. Where Does HubSpot Video Fit In? Marketers are now able to manage and host video files inside of HubSpot for free. This means that users can embed the videos into website pages, blogs and social media channels with just one click. If you fancy turning it up a notch, throw in video CTAs and forms to make them even more interactive and engaging. And - most importantly - insightful. There are even some new tools being implemented, such as video-triggered workflows along with a new set of video analytics to help maximise the impact of any video marketing campaigns you create. So, the whole team can use the new HubSpot Video feature to achieve their goals. Sales teams are also expected to greatly benefit from the new HubSpot Video features, primarily because it’s a tool that allows them to build much stronger relationships with prospects. This is done by creating, sharing and tracking personalised videos right from the HubSpot CRM. For example, creating and sending more authentic one-to-one video emails - and not a generic one in every single email - means the relationship between the sales team and the prospect becomes stronger. That comes down to it feeling more personal. There’s even the ability to analyse how prospects interacted and engaged with the videos that were sent out, such as how long the video was watched for. It’s a chance to see what is working, what isn’t and how to switch up the videos to drive further engagement. Finally, service teams are also going to see the positives that come from the new HubSpot Video feature. If we’re talking about customers submitting help tickets, they have to type out their problem, wait for a response and it’s more than likely going to be a long one with plenty of text. That can get confusing. Instead, the HubSpot Video feature means service teams can assist customers much quicker with personalised help videos created and shared directly from the Service Hub. For example, rather than typing out a 500-word solution and leaving everyone confused, service agents can record their screen right from a ticket and send the video to customers. Clearly, this improves service and solving issues faster as it’s so much easier to navigate when they can see what they need to do. Along with this, service teams can embed the videos in their knowledge base and keep track of performance in a brand new video analytics dashboard. The HubSpot Video feature is all being made possible because of the integration with Vidyard technology. With the Vidyard integration, businesses can add video to pretty much any content in HubSpot, such as one-to-one emails to contacts. Plus, their impressive technology means some other cool features can be used too such as deeper analytics, translations and transcriptions. Through the videos, you’re able to add CTAs and forms directly through the videos. You can also add videos to Landing Pages to make them look more actionable and even emails for added personalisation. There is a HubSpot system limit in place. Initially, the plan was to have a limit of 50 videos and 100mb file size. However, that’s been increased. Now, the system limit has been increased to 1000 videos instead, with the Pro tier receiving 200GB per month and Enterprise users getting 500GB per month - so plenty of videos can be stored. With the new HubSpot Video feature, marketing teams will now finally have all of the tools they need to create actionable, automated and ROI-positive video campaigns. Along with the new HubSpot Video launch, HubSpot also announced plenty of other products. These include the new Global Enterprise product launches, the new releases for Marketing Enterprise Enhancements and the Standalone HubSpot CMS. Check them all out by heading to our blog page.